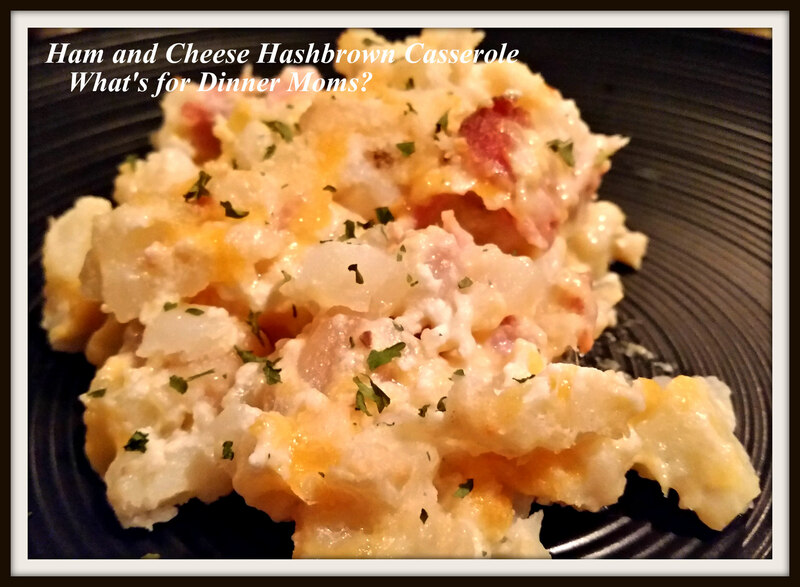 Ham and Cheese Hashbrown Casserole – What's for Dinner Moms? It is not often I use canned cream of anything soups. Then tend to look and smell funny to my children so I usually make my own cream sauce from butter, flour, and cream or half and half. But, we were cleaning the pantry up and I had two cans of cream of potato soup to use. I also had some leftover ham (the rest was being frozen for use in soups), and a bag of hash brown potatoes in the freezer. Dinner it is! We are getting toward the middle of our No Buy, January so items to cook with are getting to be a bit different. It is always a wild guess what will be left by the last week of the month. That is when we hit the bottom of the freezer and all the weird food pieces come out! When the first words out of both kids mouths are “Ooooo, yum!” We have a hit on our hands! I thought it was good. Not as amazing as they did but I added some black pepper and I liked it much better. I don’t usually cook with much salt or black pepper preferring to leave those on the table for each person to add as they like. My son will add salt, before even tasting his food, no matter how much salt I add during cooking so I gave up and let him sprinkle some at the table and not adding any or very little during cooking. Serve this with a nice fruit or green salad to complete the meal. It was perfect for using up the two cans of cream soup and the leftover ham. You can use cream of mushroom, cream of celery or cheddar cheese soup in place of the cream of potato if you wish. Preheat oven to 375 degrees. Spray a 13″ x 9″ pan with non-stick spray. 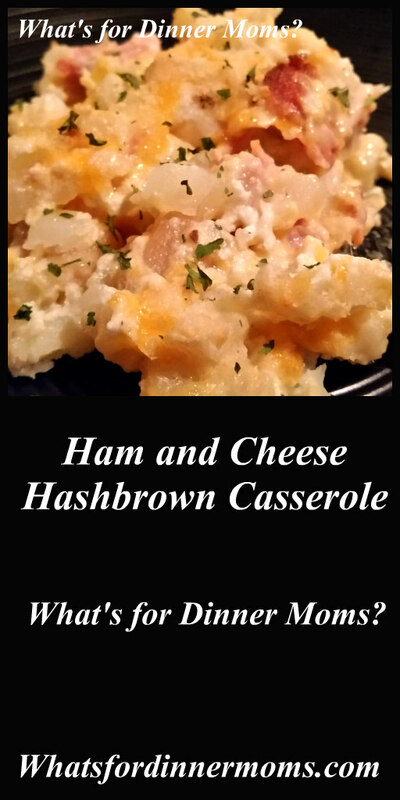 In a large bowl mix together potatoes, ham, soup, sour cream, cheddar cheese, and 1/2 cup of Parmesan cheese, plus additional mix-ins if desired, until well blended. Spread mixture into casserole dish. Sprinkle remaining 1 cup of Parmesan cheese over the top. Bake for 1 hour until the top is bubbly and light brown. Remove from oven and allow to sit for 5 minutes before serving. I may have to try some with meats in the slow cooker. Hmmm.